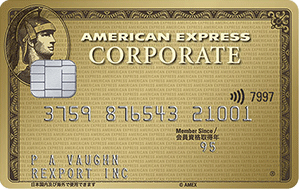 The American Express Corporate Card is a powerful and strategic expense management tool. Use the Card to pay your business expenses both at home and abroad. American Express Corporate Card Members are automatically entitled to Travel Accident Insurance of up to 50 million yen when traveling abroad or in Japan. For domestic travel, only travels for which public transportation was purchased using the American Express Corporate Card will apply. For details, please read the “Travel Accident Insurance Guide”. Whenever you are traveling outside Japan, you have 24/7 access to assistance with medical and legal emergencies, arranging transportation and accommodation, and other useful travel information and services. Overseas Assist is available to you in both English and Japanese. Make reservations and payment for discounted e-tickets for domestic flights 24/7 online via ANA@desk and/or JAL Online. Each Corporate Card Member can apply for up to five ETC cards. You can register for either the regular Membership Rewards Program or the Corporate Membership Rewards Program depending on your company’s needs. While the regular Membership Rewards program can be used for your employee welfare program, the Corporate Membership Rewards program is the perfect tool for your cost reduction. The Membership Rewards program offers the opportunity to earn points redeemable for more than 500 attractive items, 15 frequent flyers programs, and 2 frequent hotel stay programs. Earn one point for every 100 yen of eligible purchases charged on enrolled American Express Corporate Cards. The Corporate Membership Rewards program enables companies to accumulate rewards points across multiple cards and use them to achieve tangible savings. You can pay with points with TripFlex® and Flexible Savings. For details, please visit: Corporate Membership Rewards website. You can view your recent account activities and historical transactions 24/7, as well as download statements from the past 6 months by registering for Online Statements. If your card is lost or stolen, no matter where you are, we will issue a temporary card and deliver it to you anywhere you request to avoid any business difficulties. The Corporate EXPRESS Cash allows Corporate Card Members to have access to cash from participating ATMs around the globe. Corporate EXPRESS Cash is considered a business loan. Companies are asked to use this cash advance service under their own responsibility, regardless of which party retains liability for payment. We can make course bookings and arrangements at more than 1,100 golf courses in Japan, Hawaii, Guam, and Saipan without a booking fee. Enjoy the convenience of our Golf Desk service when planning your next business entertainment event. Corporate Card Members are entitled to receive discounts from several parking service vendors at Narita and Haneda Airport. For details, please visit the page here. (Japanese language only). ^ Company and employee enrollment is required. ^^ The corporate application is subject to screening.